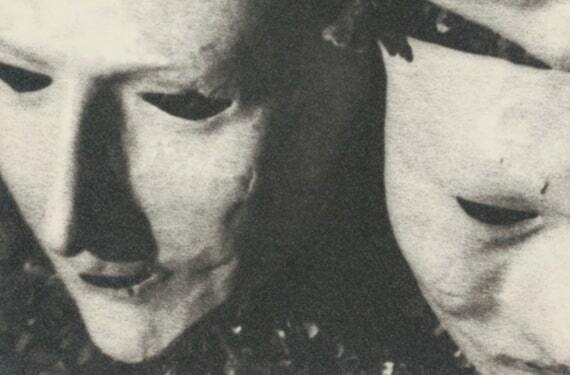 Detail from “Masks”, gelatin silver photographic print by Man Ray. So goes the well-known opening sentence of George Orwell’s classic novel 1984. The novel remains a extraordinary description of a future that Orwell feared and, although written in 1949, remains a future that some would say we are relentlessly approaching. With the ubiquity of highly targeted on-line marketing, with the weaponising of social media, with fake news and the rise of radicalised global influencers, the novel remains a stark warning of where we could be heading. Orwell’s description of the clocks striking thirteen is clever in that, although we know what this means (1pm on the 24 hour clock) the sentence is enough to jolt us into the possibility that something very different is going on, that society is matching to a different drum from what we are used to. In the Afterword to the novel ( written in 1961), the psychologist Erich Fromm describes this different drum in detail. He writes of how we have lost traditional certainties: we can now control nature in sophisticated ways (to both positive and negative effect); traditional religions no longer hold the sway they used to over the collective consciousness; technology brings the risk of soulless automation and a diminution of the human spirit. To Fromm, what we have lost is the possibility of faith, embedded within historical mores and contexts. In 1961 one of Fromm’s deep concerns was nuclear proliferation; he does not of course mention climate change nor species loss. Yet these are now further factors in the bewildering sense of powerlessness and hopelessness that many people feel. …the power of holding two contradictory beliefs in one’s mind simultaneously, and accepting both of them…. This process has to be conscious, or it would not be carried out with sufficient precision. But it also has to be unconscious, or it would bring with it a feeling of falsity and hence of guilt. It’s interesting to note that the first part of this definition is widely quoted (do a Google image search for “doublethink”, for example!) yet the second part (which appears further down the page in the original) is less commonly quoted. As psychotherapists, it’s this second part that is especially interesting, because it’s the doublethink we don’t know we’re involved in that’s particularly damaging. ..if [a person] has surrendered his independence and his integrity completely, if he experiences himself as a thing which belongs either to the state, the party or the corporation, then two plus two are five, or “Slavery is Freedom”, and he feels free because there is no longer any awareness of the discrepancy between truth and falsehood. Orwell is of course making the point that it is not all right, that Winston Smith has been so thoroughly indoctrinated and brainwashed that he is at home only with doublethink. This is the victory of Big Brother in the novel. Who is to Be the Victor in Our Lives? Given the loss of traditions for many people today, where are they to turn? The solution will be different for each person who wants to question the potential indoctrinations they slip into, in order to fill the void; the person who wants to find a way to live authentically and with poise in a complex and fractured world. The process of psychotherapy can be one such approach: inquiring as to whether we hold fake news internally. What, alternatively, is the “real news” of our psyche? By gentle yet deep questioning of ourselves, (using such techniques as dialogue, dreams, fantasies, reflections and attending to our symptoms), we can travel a road back into the fertile soil of ourselves, from which true creativity can then spring. Many people are now questioning the “news” by which they live their lives – questioning relationships, belief systems, commitments to systems and organisations, sexuality. What, alternatively, is the “real news” of our psyche? Yes, we have lost many of the collective means of obtaining a sense of belonging and may have lost societal and family bonds; and yes, we may need to depend on ourselves as individuals (rather than on a collective) to find a unique way; yet in the dialogue of the psychotherapeutic encounter we can be supported – and find we are not completely alone in our inquiry. At the very least we may find we are less likely to fall victim to doublethink, less likely for Big Brother to be the victor.